It was a result that few had predicted. With good reason? Or could more people have foreseen that 52 per cent of the British public would vote to exit the EU? Perhaps journalists, pollsters and politicians should have turned to an unlikely litmus test in the search for answers: property. In the wake of the result, property has proved itself to be an intriguing indicator of voter intention. So, how do voting patterns correlate with rental yields? And what opportunities might Brexit present for the savvy investor? Only two of the top 20 local authority districts for rental yield voted to remain in the EU – Manchester and Liverpool. 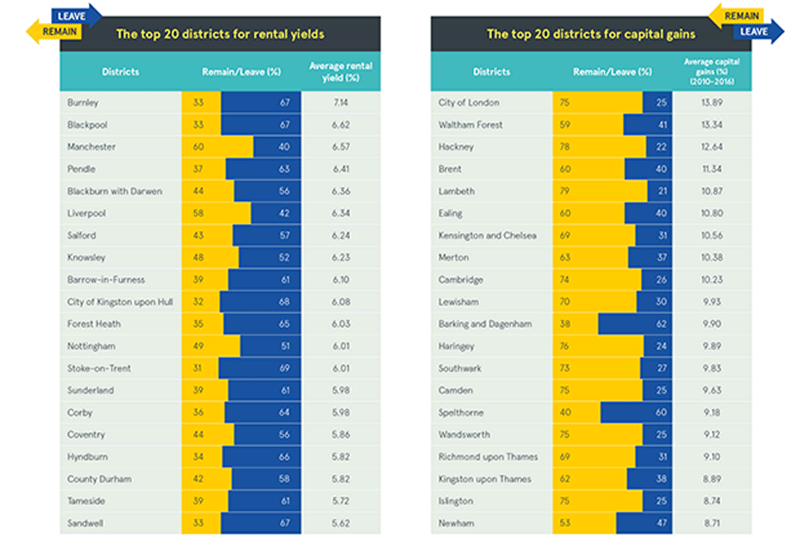 In contrast, only two of the top 20 districts for capital gains – Barking & Dagenham and Spelthorne (Surrey) – voted in favour of Brexit. 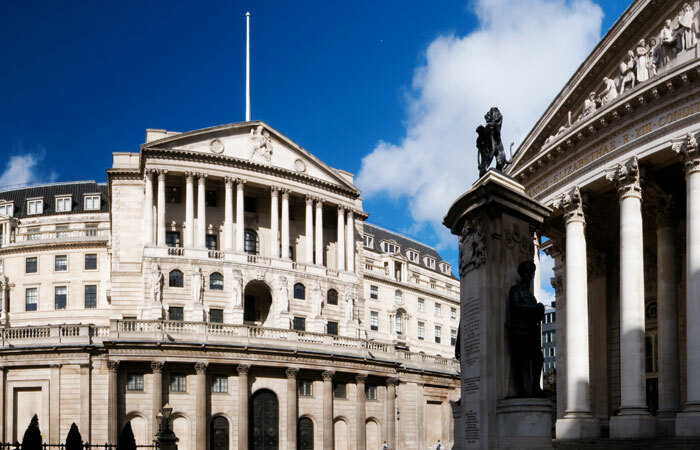 “It’s very interesting that the top districts for rental yield, which are often found in the North-east and North-west, voted so overwhelmingly for Brexit,” noted Christian Faes, co-founder and CEO of LendInvest. Interesting, certainly. But perhaps the findings are not so surprising when you consider the negative correlation between areas of high rental yield and locations with high capital gains. It’s hardly shocking that homeowners who saw their property price rise healthily above the average in recent years were content with the status quo, while those who had to deal with stagnant capital gains and high rent voted for a change. Clearly the British obsession with property runs deep, and offers insights into far more than the state of the housing market. The LendInvest Buy-To-Let Index uses data from Zoopla, one of the largest and most comprehensive property data providers, and historical data from Land Registry, making the LendInvest Buy-To-Let Index the most extensive publicly available assessment of the UK buy-to-let property market. LendInvest is the UK’s leading online lender for short-term property finance. LendInvest aims to bring the speed, efficiency and transparency of online lending to the mortgage market for the first time. In the past two years, LendInvest has originated over £664m of loans to landlords and developers for terms lasting one month to three years, making it one of the most active short- to medium-term mortgage lenders in the UK. For more information visit lendinvest.com.